Suntonio Bandanaz, (aka Asun) is a core MC and spearhead of the pioneering Seattle collective of Mc’s, deejays, b-boys, and other artist-visionaries, known as Alpha P. (1st Platoon). Having overcome hardship and struggle in his own coming-of-age, this veteran artist consciously utilizes music as a platform to not only entertain, but also to uplift and empower. A sophisticated lyricist committed to keeping rap clever, Suntonio Bandanaz’ distinctive style has influenced many other local up-n-comers over the years. Bandanaz is an MC’s MC– as highly skilled freestyler as writer; whose chop is as sharp as his flow is smooth, and who can hype even the mellowist crowd. One of Seattle’s most prolific “Underground Hip Hop” emcees on the scene, Suntonio Bandanaz (previously recording as Asun) has created a massive catalogue of independent material on CD, tape, vinyl and video. He has appeared on hundreds of tracks and released over a dozen projects including: Heavenly Ghetto Cuts, The Naps Project, The House That Love Built vol. 1 & 2, Titanium Buttermilk Rhinoceros Briefcase, Codex Di Satio, and West Coast Scavengers 12″. In true-school form, Bandanaz is master of the indy distribution hustle, a local legend who has moved tens of thousands of units hand to hand and in stores. 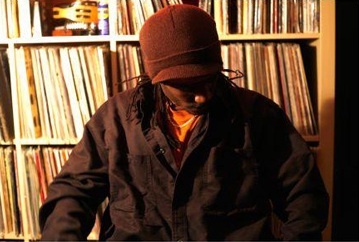 In 2010 Bandanaz joined forces with Seattle-based multimedia and record company Fresh Chopped Beats/MADK Productions with his acclaimed ground-breaking debut release, “Who is Suntonio Bandanaz? !” The follow up, “American Gangster Nerd” is available now.